See why green smoke is the best ecig on the market today. Prompt service and great to be able to choose nicotine percentage and varied flavors. Better than vaping pen by far. Green Smoke review has some of the most helpful, polite and well-versed Customer Service Representatives I have ever had the privilege of dealing with. This company goes above and beyond to make sure their customers are satisfied with their purchase. I recently contacted them via their website’s Live Chat to inquire why an order was delayed and was told it was due to bad weather incurred at their shipping facility a few days before. It was going to be another week before i received my order. i asked if I could upgrade to a faster shipping method because I was completely out and had had to buy a different brand at a local store, however, was told I could not because my order was already going through the process. TELL THE POLITICIANS TO KEEP THEIR HANDS OFF OUR E-CIGARETTES! A bill has been introduced in California to ban the use of e-cigarettes wherever smoking is banned. If passed, this could mean you will not be permitted to use your e-cigarette at work, on the bus, or within 20 feet of any public building in the state of California. We are asking for help from e-smokers nation-wide because this affects all of you. In almost every single state, legislation is being introduced and heard by state legislatures to limit or ban the use of electronic cigarettes. This is an attempt to treat e-cigarettes exactly the same as tobacco cigarettes using the argument that e-cigarettes are “a hazard to the health of the general public”. This campaign is being organized and directed by powerful anti-smoking advocacy groups who know little to nothing about e-cigarettes. Important decisions could be made based on assumption and misinformation. The truth is the FDA has limited information about the safety of e-cigarettes and the affects on bystanders. In fact, all research to date shows that the low health risks associated with e-cigarettes is comparable to other smokeless nicotine products. No basis exists for the claim that the use of e-cigarettes is hazardous and these bans are arguably unconstitutional. Permit landlords to ban e-cigarettes in private homes. Ban e-cigarette use inside or within 20 feet of any public building or in any vehicle owned by the state (including buses, and other public transportation). Ban e-cigarette use in hospitals and medical facilities, except specifically defined rooms where smoking is allowed. Declares that the use of electronic cigarettes “is a hazard to the health of the general public,” and would include e-cigarettes in all future smoking bans passed in California. Ban e-cigarette use in workplaces. Violations would be punishable by fines of up to $500. Ban e-cigarette use in railroads and air carriers. Tell the Senate Health Committee and Senate Judiciary Committee to VOTE NO on SB 648. Submit testimony to be heard at the hearing. Go to Sacramento and testify directly before the Senate. SB-648 Electronic cigarettes: restriction of use and advertising. An act to amend Section 1947.5 of the Civil Code, to amend Section 48901 of the Education Code, to amend Sections 7596, 7597, and 19994.35 of the Government Code, to amend Sections 1234, 1286, 1596.795, 104495, 110995, 113978, and 114332.3 of, and to add Section 118882 to, the Health and Safety Code, to amend Section 6404.5 of the Labor Code, to amend Sections 561 and 99580 of the Public Utilities Code, and to amend Section 12523 of the Vehicle Code, relating to electronic cigarettes. SB 648, as introduced, Corbett. Electronic cigarettes: restriction of use and advertising. 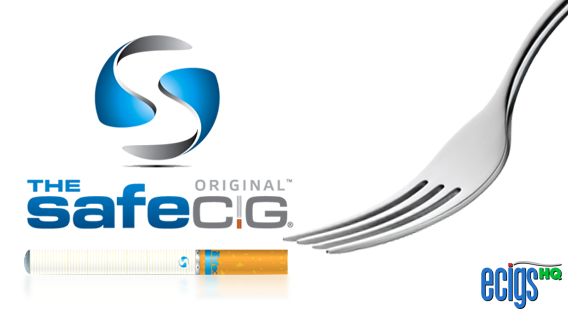 Existing law defines an electronic cigarette as a device that can provide an inhalable dose of nicotine by delivering an inhalable solution. Existing law, to the extent not preempted by federal law, makes it unlawful for a person to sell or otherwise furnish an electronic cigarette to a person under 18 years of age. Existing law restricts or prohibits the smoking of tobacco products in various places, including, but not limited to, residential dwelling units, school campuses, public buildings, as defined, places of employment, day care facilities, retail food facilities, and health facilities. Under existing law, violation of the prohibition against smoking in certain of these places, including, but not limited to, a day care facility, health facility, or clinic constitutes an infraction or a misdemeanor, as specified. This bill would extend the above-referenced restrictions and prohibitions against the smoking of tobacco products to include electronic cigarettes. By including electronic cigarettes within the restricted and prohibited activity, this bill would change the definition of a crime with respect to certain facilities, thereby creating a state-mandated local program. Existing law prohibits the advertising of tobacco products in any state-owned and state-occupied building, except as specified. This bill would extend the above prohibition against advertising to electronic cigarettes, as defined. It is the intent of the Legislature in enacting this act to regulate the use of electronic cigarettes, as defined in subdivision (b) of Section 110405 of the Health and Safety Code, to the same extent and in the same manner as cigarettes and other tobacco products, to the extent not preempted by federal law. (a) A landlord of a residential dwelling unit, as defined in Section 1940, or his or her agent, may prohibit the smoking of a cigarette, as defined in Section 104556 of the Health and Safety Code, an electronic cigarette, as defined in subdivision (b) of Section 119405 of the Health and Safety Code, or other tobacco product on the property or in any building or portion of the building, including any dwelling unit, other interior or exterior area, or the premises on which it is located, in accordance with this article. (b) (1) Every lease or rental agreement entered into on or after January 1, 2012, for a residential dwelling unit on property on any portion of which the landlord has prohibited the smoking of cigarettes, electronic cigarettes, or other tobacco products pursuant to this article shall include a provision that specifies the areas on the property where smoking is prohibited, if the lessee has not previously occupied the dwelling unit. (2) For a lease or rental agreement entered into before January 1, 2012, a prohibition against the smoking of cigarettes, electronic cigarettes, or other tobacco products in any portion of the property in which smoking was previously permitted shall constitute a change of the terms of tenancy, requiring adequate notice in writing, to be provided in the manner prescribed in Section 827. (d) This section shall not be construed to preempt any local ordinance in effect on or before January 1, 2012, or any provision of a local ordinance in effect on or after January 1, 2012, that restricts the smoking of cigarettes, electronic cigarettes, or other tobacco products. (e) A limitation or prohibition of the use of any tobacco product or electronic cigarette shall not affect any other term or condition of the tenancy, nor shall this section be construed to require statutory authority to establish or enforce any other lawful term or condition of the tenancy. (a) No school shall permit the smoking or use of tobacco, or any product containing tobacco or nicotine products, including electronic cigarettes, by pupils of the school while the pupils are on campus, or while attending school-sponsored activities or while under the supervision and control of school district employees. (a) “Public building” means a building owned and occupied, or leased and occupied, by the state, a county, a city, a city and county, or a California community college district. (1) “Inside a public building” includes all indoor areas of the building, except for covered parking lots and residential space. “Inside a public building” also includes any indoor space leased to the state, county, or city, except for covered parking lots and residential space. (2) “Residential space” means a private living area, but it does not include common areas such as lobbies, lounges, waiting areas, elevators, stairwells, and restrooms that are a structural part of a multicomplex building such as a dormitory. (3) (A) “Covered parking lot” means an area designated for the parking of vehicles that is enclosed or contains a roof or ceiling. “Covered parking lot” does not include lobbies, lounges, waiting areas, elevators, stairwells, and restrooms that are a structural part of the parking lot or a building to which it is attached. (B) The application of this subparagraph shall not supersede or render inapplicable permitted smoking of tobacco products, including electronic cigarettes, under this chapter within any other part of a covered parking lot not specifically listed in subparagraph (1) . 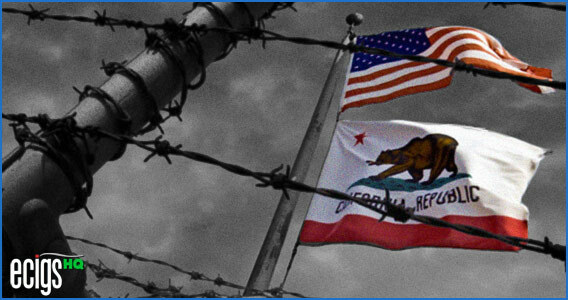 (b) “State” or “state agency” means a state agency, as defined pursuant to Section 11000, the Legislature, the Supreme Court and the courts of appeal, and each campus of the California State University and the University of California. 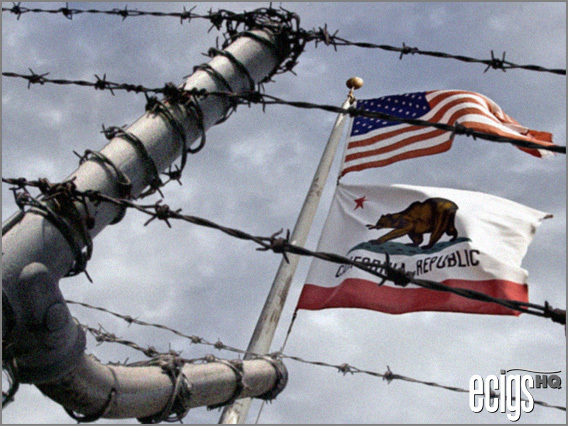 (c) “Public employee” means an employee of a state agency or an employee of a county or city. (a) No public employee or member of the public shall smoke any tobacco product, including an electronic cigarette, inside a public building, or in an outdoor area within 20 feet of a main exit, entrance, or operable window of a public building, or in a passenger vehicle, as defined by Section 465 of the Vehicle Code, owned by the state. (a) No tobacco product advertising, which shall include electronic cigarette advertising, shall be allowed in any state-owned and state-occupied building excepting advertising contained in a program, leaflet, newspaper, magazine, or other written material lawfully sold, brought, or distributed within a state building. (b) “Advertise,” for purposes of this section, means the display of any poster, sign, or other written or visual material that is intended to communicate commercial information or images to the public. (c) “Tobacco product,” for purposes of this section, means any product containing tobacco, the prepared leaves of plants of the nicotiana family, including, but not limited to, cigarettes, loose tobacco, cigars, snuff, chewing tobacco, or any other preparation of tobacco. (a) Smoking shall not be permitted in patient areas of a clinic except those rooms designated for occupancy exclusively by smokers. (d) This section applies to the use of electronic cigarettes, as defined in subdivision (b) of Section 119405. (a) Smoking shall be prohibited in patient care areas, waiting rooms, and visiting rooms of a health facility, except those areas specifically designated as smoking areas, and in patient rooms as specified in subdivision (b) . (b) Smoking shall not be permitted in a patient room unless all persons assigned to such room have requested a room where smoking is permitted. In the event that the health facility occupancy has reached capacity, the health facility shall have reasonable time to reassign patients to appropriate rooms. (1) State that smoking is unlawful and be conspicuously posted by, or on behalf of, the owner or manager of such health facility, in all areas of a health facility where smoking is unlawful, or. (2) Identify “smoking permitted” areas, and be posted by, or on behalf of, the owner or manager of such health facility, only in areas of the health facility where smoking is lawfully permitted. (f) This section applies to the use of electronic cigarettes, as defined in subdivision (b) of Section 119405. (a) The smoking of tobacco, including electronic cigarettes, as defined in subdivision (b) of Section 119405, in a private residence that is licensed as a family day care home shall be prohibited during the hours of operation as a family day care home and in those areas of the family day care home where children are present. Nothing in this section shall prohibit a city or county from enacting or enforcing an ordinance relating to smoking in a family day care home if the ordinance is more stringent than this section. (b) The smoking of tobacco, including electronic cigarettes, as defined in subdivision (b) of Section 119405, on the premises of a licensed day care center shall be prohibited. (4) “Smoke or smoking” means the carrying of a lighted pipe, lighted cigar, or lighted cigarette of any kind, including an electronic cigarette, as defined in subdivision (b) of Section 119405, or the lighting of a pipe, cigar, or cigarette of any kind, including, but not limited to, tobacco, or any other weed or plant. (5) “Cigarette” means the same as defined in Section 104556, and also includes an electronic cigarette. (b) No person shall smoke a cigarette, cigar, or other tobacco-related product within 25 feet of any playground or tot lot sandbox area. (f) The prohibitions contained in subdivisions (b) , (c) , and (d) shall not apply to private property. (a) A room in which ice is manufactured shall be used for no other purpose than the manufacture of ice and the production of refrigeration, and may contain refrigeration equipment and machinery. This subdivision shall not apply to any food facility as defined in Section 113785. (b) Ice storage or processing areas shall be maintained in a clean and sanitary condition and no noxious or offensive odors, smoking, including electronic cigarettes, as defined in subdivision (b) of Section 119405, or other air pollution shall be permitted therein. (c) Cover tops for tank cans shall have a smooth, painted, or treated surface, and shall be cleaned daily. Water used for cleaning shall not be permitted to drip into freezing cans. Only potable water shall be used in sprays and in the thaw tanks for the removal of ice from cans. Water coverage tanks shall be covered and provided with filtered vents. (d) Crushed, cubed, or shaved ice, intended for human consumption, shall be stored in a manner that prevents its pollution or contamination. (e) Soil, waste, or drain pipes shall not be installed or maintained above any ice platform, loading space, ice container, ice storage room, dip tank or any place where leakage from the pipes may drop into, or upon any ice or upon any area or equipment used in the manufacture of ice, unless a safety device shall be installed under the pipes drained to an open receptacle or drain so as to prevent pollution of ice, water, or equipment used in the manufacture of the ice. (f) Block ice-loading platforms shall be washed with water as often as necessary to keep them in a clean and sanitary condition, but not less than once each day. (g) Block ice pullers and block ice storage-room employees shall wear rubber overshoes while on duty. The rubber overshoes shall be removed when the employee leaves the storage or tank room, except that if the rubber overshoes are not removed, they shall be cleaned and disinfected before reentering the storage or tank room. The use of street shoes without rubber overshoes in these areas is prohibited. (h) All frozen unpackaged ice blocks intended for sale for human consumption or for the refrigeration of food products shall be washed thoroughly with potable water. Ice manufactured for industrial purposes need not be washed prior to shipping but shall be handled and stored separately from ice intended for human consumption. (i) Ice shall be handled only with clean tongs, ice-carrying bags, scoops, or other sanitary containers, and shall not be directly handled with bare hands. (j) Single service supplies shall be stored, dispensed, and handled in a sanitary manner and shall be used only once. (k) Persons not directly involved in the manufacture, processing, packaging, or storing of ice, in the maintenance of facilities and equipment used therefore, or in the management, supervision, or inspection thereof, shall not be permitted in any area where ice is manufactured, processed, packaged, or stored, unless personal cleanliness and hygienic practices are taken to prevent contamination of the product. These areas shall have signs posted to this effect. (l) Bacteriological tests of the finished ice shall be conducted not less than biannually, chemical and physical tests annually, and radiological tests every four years, to insure that ice manufactured for human consumption or for the refrigeration of food products complies with the primary drinking water standards adopted by the department pursuant to Section 116365. (m) No ice produced out of state shall be sold or distributed within this state unless it complies with this article. Food facilities shall have a “no smoking” sign posted in the food preparation, food storage, and warewashing areas. For purposes of this section, “smoking” also includes use of electronic cigarettes, as defined in subdivision (b) of Section 119405. (b) All food and beverage shall be protected at all times from unnecessary handling and shall be stored, displayed, and served so as to be protected from contamination. (c) Potentially hazardous food and beverage shall be maintained at or below 7 degrees Celsius (45 degrees Fahrenheit) or at or above 57.2 degrees Celsius (135 degrees Fahrenheit) at all times. (f) Smoking, including electronic cigarettes, as defined in subdivision (b) of Section 119405, is prohibited in nonprofit charitable temporary food facilities. (g) (1) Except as provided in paragraph (2) , live animals, birds, or fowl shall not be kept or allowed in nonprofit charitable temporary food facilities. The Legislature finds and declares that the use of electronic cigarettes, as defined in subdivision (b) of Section 119405, is a hazard to the health of the general public. Any reference in this chapter to, or any prohibition of, the smoking of tobacco shall also be construed to refer to the use of electronic cigarettes. (a) The Legislature finds and declares that regulation of smoking in the workplace is a matter of statewide interest and concern. It is the intent of the Legislature in enacting this section to prohibit the smoking of tobacco products, including electronic cigarettes, as defined in subdivision (b) of Section 119405 of the Health and Safety Code, in all (100 percent of) enclosed places of employment in this state, as covered by this section, thereby eliminating the need of local governments to enact workplace smoking restrictions within their respective jurisdictions. It is further the intent of the Legislature to create a uniform statewide standard to restrict and prohibit the smoking of tobacco products, including electronic cigarettes, in enclosed places of employment, as specified in this section, in order to reduce employee exposure to environmental tobacco smoke to a level that will prevent anything other than insignificantly harmful effects to exposed employees, and also to eliminate the confusion and hardship that can result from enactment or enforcement of disparate local workplace smoking restrictions. Notwithstanding any other provision of this section, it is the intent of the Legislature that any area not defined as a “place of employment” pursuant to subdivision (d) or in which the smoking of tobacco products, including electronic cigarettes, is not regulated pursuant to subdivision (e) shall be subject to local regulation of smoking of tobacco products, including electronic cigarettes. (b) No employer shall knowingly or intentionally permit, and no person shall engage in, the smoking of tobacco products in an enclosed space at a place of employment. “Enclosed space” includes lobbies, lounges, waiting areas, elevators, stairwells, and restrooms that are a structural part of the building and not specifically defined in subdivision (d). For purposes of this section, “smoking,” or smoking of tobacco products includes use of electronic cigarettes, as specified in subdivision (b) of Section 119405. (A) “Private smokers’ lounge” means any enclosed area in or attached to a retail or wholesale tobacco shop that is dedicated to the use of tobacco products, including, but not limited to, electronic cigarettes, cigars, and pipes. (B) “Retail or wholesale tobacco shop” means any business establishment the main purpose of which is the sale of tobacco products, including, but not limited to, electronic cigarettes, cigars, pipe tobacco, and smoking accessories. (7) Gaming clubs, in which smoking is permitted by subdivision (f) . For purposes of this paragraph, “gaming club” means any gaming club, as defined in Section 19802 of the Business and Professions Code, or bingo facility, as defined in Section 326.5 of the Penal Code, that restricts access to minors under 18 years of age. (8) Bars and taverns, in which smoking is permitted by subdivision (f) . For purposes of this paragraph, “bar” or “tavern” means a facility primarily devoted to the serving of alcoholic beverages for consumption by guests on the premises, in which the serving of food is incidental. “Bar or tavern” includes those facilities located within a hotel, motel, or other similar transient occupancy establishment. However, when located within a building in conjunction with another use, including a restaurant, “bar” or “tavern” includes only those areas used primarily for the sale and service of alcoholic beverages. “Bar” or “tavern” does not include the dining areas of a restaurant, regardless of whether alcoholic beverages are served therein. (11) Private residences, except for private residences licensed as family day care homes, during the hours of operation as family day care homes and in those areas where children are present. (i) The enactment of local regulation of smoking of tobacco products in enclosed places of employment by local governments shall be suspended only for as long as, and to the extent that, the (100-percent) smoking prohibition provided for in this section remains in effect. In the event this section is repealed or modified by subsequent legislative or judicial action so that the (100-percent) smoking prohibition is no longer applicable to all enclosed places of employment in California, local governments shall have the full right and authority to enforce previously enacted, and to enact and enforce new, restrictions on the smoking of tobacco products in enclosed places of employment within their jurisdictions, including a complete prohibition of smoking. Notwithstanding any other provision of this section, any area not defined as a “place of employment” or in which smoking is not regulated pursuant to subdivision (d) or (e) , shall be subject to local regulation of smoking of tobacco products. (k) Notwithstanding Section 6309, the division shall not be required to respond to any complaint regarding the smoking of tobacco products, in an enclosed space at a place of employment, unless the employer has been found guilty pursuant to subdivision (j) of a third violation of subdivision (b) within the previous year. (a) Every railroad corporation, passenger stage corporation, passenger air carrier, and street railroad corporation providing departures originating in this state shall prohibit the smoking of any tobacco product, including an electronic cigarette, in the passenger seating area of every passenger car, passenger stage, aircraft, or other vehicle. (b) Every such corporation and carrier shall display in the passenger seating area of every passenger car, passenger stage, aircraft, or other vehicle, notices sufficient in number, posted in such locations as to be readily seen by boarding passengers, advising passengers of the no smoking requirements pursuant to subdivision (a) . Words on such notices which state “No Smoking” or an equivalent phrase shall be at least three-quarters of one inch high, and any other explanatory words on the notices shall be at least one-quarter of an inch high. (c) No person shall smoke any tobacco product, including an electronic cigarette, in a space known by him or her to be designated for nonsmoking passengers. A violation of this subdivision is not a crime. (a) Pursuant to subdivision (e) of Section 640 of the Penal Code, a public transportation agency may enact and enforce an ordinance to impose and enforce an administrative penalty for any of the acts described in subdivision (b) . The ordinance shall include the provisions of this chapter and shall not apply to minors. (3) Playing sound equipment on or in a system facility or vehicle. (4) Smoking, including electronic cigarettes, eating, or drinking in or on a system facility or vehicle in those areas where those activities are prohibited by that system. (B) In the event that an eligible discount ticket user is not in possession of acceptable proof at the time of request, an issued notice of fare evasion or passenger conduct violation shall be held for a period of 72 hours to allow the user to produce acceptable proof. If the proof is provided, that notice shall be voided. If the proof is not produced within that time period, that notice shall be processed. (12) Sale or peddling of any goods, merchandise, property, or services of any kind whatsoever on the facilities, vehicles, or property of the public transportation system without the express written consent of the public transportation system or its duly authorized representatives. (B) The party responsible for processing the notice of fare evasion or passenger conduct violation and the notice of delinquent violation, if a contract is entered into pursuant to paragraph (1) . (4) For the purpose of this chapter, “public transportation agency” shall mean a public agency that provides public transportation as defined in paragraph (1) of subdivision (f) of Section 1 of Article XIXA of the California Constitution. (e) In setting the amounts of administrative penalties for the violations listed in subdivision (b) , the public transportation agency shall not establish penalty amounts that exceed the maximum fine amount set forth in Section 640 of the Penal Code. (2) Refrain from smoking, including electronic cigarettes. No reimbursement is required by this act pursuant to Section 6 of Article XIIIB of the California Constitution because the only costs that may be incurred by a local agency or school district will be incurred because this act creates a new crime or infraction, eliminates a crime or infraction, or changes the penalty for a crime or infraction, within the meaning of Section 17556 of the Government Code, or changes the definition of a crime within the meaning of Section 6 of Article XIIIB of the California Constitution. LOS ANGELES, CA — March 18th, 2013 – eCigs HQ™ (http://www.ecigshq.com), a user-centric website dedicated to providing visitors with rankings of the best electronic cigarettes, unbiased e-cigarette reviews, industry news, coupon codes, special offers and exclusive discounts, today announced the March Mania Green Smoke® Giveaway to take place during the NCAA® 2013 Division I Men’s Basketball Championship. eCigs HQ will be giving away a Green Smoke® Pro Kit with four additional packs of FlavorMax™ Cartomizers (valued at $159.94) to each of 3 lucky winners . Participants may enter by providing a 50-to-150-word comment on why they should win. The first 100 approved comments are eligible. The three winners will be the comment number that matches, is one greater than, and is one less than the last two digits of the April 8th Championship Game’s attendance as reported in the ESPN® Box Score. Green Smoke® Inc., based in Miami, Florida, makes the leading electronic cigarette brand, Green Smoke®. This exciting new alternative to traditional cigarettes uses the innovative and best-in-class FlavorMax™ cartomizers to provide full-flavored vapor and an unmatched smoking sensation. The company is proud to deliver not just best-value products, but a highly rated customer service experience as well. For more information, visit http://www.greensmoke.com. eCigs HQ™ is dedicated to providing real and unbiased reviews of the worst and best electronic cigarettes on the market today. The reviews, special offers, coupon codes, videos, news and rankings presented are all geared towards providing consumers with the information they need to make informed e-cigarette buying decisions while enjoying the lowest possible prices on their purchases. For additional information, visit http://www.ecigshq.com. ©2013 eCigs HQ™. All rights reserved. 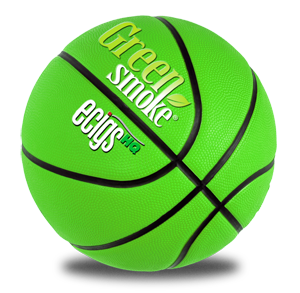 GreenSmoke is a registered trademark of Green Smoke Inc. NCAA is a registered trademark of the National Collegiate Athletic Association. ESPN is a registered trademark of ESPN, Inc. The NCAA and ESPN are not affiliated with this offer. 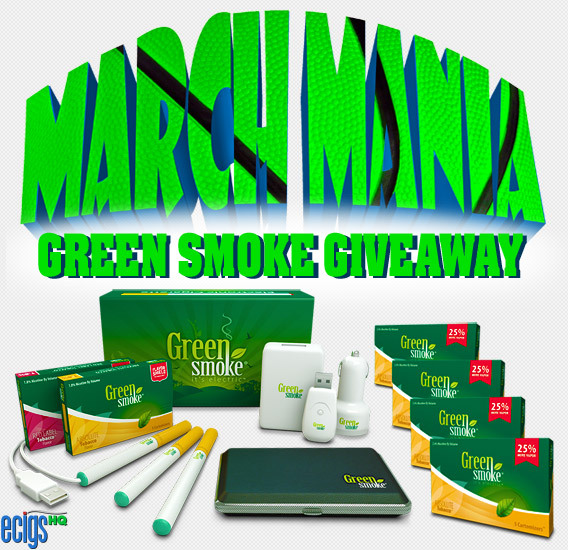 March Mania Green Smoke Giveaway! Congratulations to our winners — Commenters: #6 Anna; #7 Jerry; and #8 Christine! The official game attendance as per the ESPN boxscore was 74,326. Comment #26 (Jerry) was the exact match winner, while Anna’s Comment #25 was the next lowest number and Christine’s Comment #27 was the next highest number. 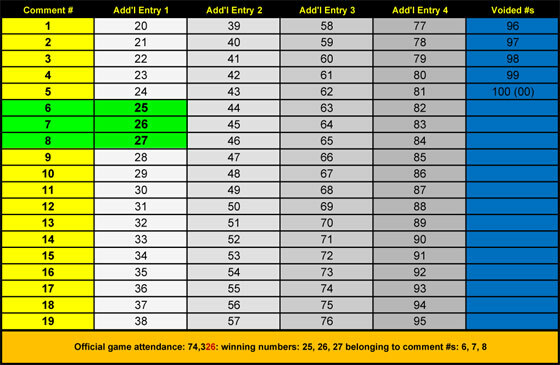 Click here for a table showing how the additional entries were distributed. We are in the process of contacting Jerry, Anna, and Christine to arrange delivery of the Green Smoke Pro Kits. Thank you to all who participated, and special thanks to Green Smoke for sponsoring this event. As it would appear (as of 7:30 P.M. EST on 4/8/13) that there will be fewer than 100 entries, the following changes are made. Any remaining entries (the numbers between 100 and the actual number of entries) will be evenly divided amongst the current entries with any remaining numbers voided. For example: if there are only 22 entries, each entrant will receive 3 additional entries. Comment #1 would receive #01 plus #23, #45, and #67. Comment #2 would receive #02 plus #24, #46, and #68, etc. In this instance, the leftover numbers that can not be divided equally would be 89 thru 100 (00). Those numbers would be voided. Should the last two digits of the game’s attendance match a voided number, the second-to-last and third-to-last digits of the game’s attendance would be used to select the winning number plus the next highest and lowest number winners. Should that also result in the selection of a voided number, the third-to-last and fourth-to-last digits of the game’s attendance would be used to select the winning number plus the next highest and lowest number winners. This method would be repeated as necessary until it produces a selection that is not a voided number. Any rules not mentioned above remain the same. In all cases regarding the Giveaway, the decisions of eCigs HQ Editors are final. March Mania begins on Tuesday, March 19th and ends on Monday, April 8th. 3/19: The Giveaway has begun — leave a comment to win! each with 4 extra packs of FlavorMax™ Cartomizers! That’s a $159.94 value to each of three winners — absolutely free! Three lucky winners will receive everything you see above courtesy of Green Smoke and eCigs HQ™. If your comment is one of the first 100 approved — your odds of winning are 1 in 33.33! The first game of the NCAA Division I Men’s Basketball Tournament is presently scheduled to tip off in Dayton, Ohio at 6:59 PM EST (5:59 PM CST, 4:59 PM MST, 3:59 PM PST) on Tuesday, March 19th. 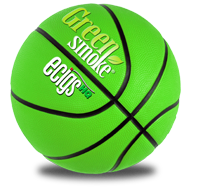 As soon the game-opening tip-off is tapped and the game clock starts in Dayton — but NOT earlier — you may enter the March Mania Green Smoke Giveaway by submitting a Comment on this page telling us why you should win. The first 100 Comments approved have a 1 in 33.3 chance to win! While you may comment at any time after the tournament-opening tip-off until the end of the championship game, only the first 100 approved Comments will be eligible to win. Each approved Comment is automatically assigned a number that is visible upon publication, and that number is your ticket to win. The National Championship Game takes place on Monday, April 8th at the Georgia Dome. The first winning ticket will be the Comment Number that MATCHES the last two digits of the official game attendance as posted in the ESPN boxscore. The second winning ticket will be the Comment Number that is ONE LESS than the last two digits of the official game attendance as posted in the ESPN boxscore. The third winning ticket will be the Comment Number that is ONE GREATER than the last two digits of the official game attendance as posted in the ESPN boxscore. If you scroll down to the bottom of the page, you’ll note that the official game attendance is listed as 70,913. If 70,913 turns out to be the attendance again this year, the winners would be Comment #13 (comment number matches the last two digits of the attendance), the next lesser number, in this case, Comment #12, and the next greater number, in this case, Comment #14. The persons who provided Comments #12, #13 and #14 would each win a Green Smoke Pro Kit plus the 4 extra Packs of FlavorMax™ Cartomizers. It’s that easy — or complicated — however you choose to see it. The 3 lucky winners will be posted on this page on Tuesday, April 9th, 2013. You must be 18 years or older on March 19th, 2013 to participate. Only residents of the 50 U.S. states, the District of Columbia, and members of the U.S. Armed Forces serving overseas are eligible. Sorry, U.S. Territories, Canada, Mexico, U.K., Australia. Prizes will only be shipped to the 50 U.S. states, the District of Columbia, and APO addresses. Only one entry per IP address. All Comments are moderated. Please use language appropriate to a G-rated website. Inappropriate language as determined solely by eCigs HQ™ will void your Comment and your IP address’ eligibility. To insure a level playing field for all, your Comment may NOT be submitted prior to actual tip-off of the first game in Dayton (regardless of scheduled tip-off time). You may however, submit your Comment any time after the tournament’s first-game tip-off, up until the closing buzzer of the championship game scheduled for April 8th. As long as your Comment is one of the first 100 Comments approved, you are eligible to win. For purposes of the Giveaway, Comment #1 is ’01’. Comment #2 is ’02’, etc. Comment #100 is ’00’. If Comment #1 (01) matches the last two digits of the attendance, Comment #100 (00) is the next lesser number, and Comment #2 (02) is the next greater number. If Comment #100 (00) matches the last two digits of the attendance, Comment #99 (99) is the next lesser number, and Comment #1 (01) is the next greater number. Please do not provide any contact information within the text of your Comment. If you are one of the three winners, we will contact you for your full name, mailing address and cartomizer selections via e-mail address you provide in the specified form field (not visible to the public if your comment is approved and published). Friends and relatives of eCigs HQ™ Editors are ineligible to participate. Mom, that means you. You don’t even smoke. ODDS OF WINNING: If your Comment is one of the first 100 Comments approved, your odds of winning are 1 in 33.33. Comments determined to be ineligible by eCigs HQ™ and Comments received after the first 100 Comments are approved are not eligible to win and will not be published. NOTE: THIS OFFER IS SUBJECT TO CHANGE/WITHDRAWAL AT ANY TIME WITHOUT PRIOR NOTICE. THIS OFFER IS VOID WHERE PROHIBITED BY LAW. THE SUBMISSION OF A COMMENT ON THIS PAGE WILL SERVE AS YOUR AGREEMENT TO ABIDE BY ECIGS HQ’S MARCH MANIA GREEN SMOKE GIVEAWAY (“THE GIVEAWAY”) RULES AND THE DECISIONS OF ECIGS HQ EDITORS AS RELATED TO THE GIVEAWAY. IN ANY MATTER RELATED TO THE GIVEAWAY, THE DECISION OF ECIGSHQ.COM EDITORS IS FINAL. The Safe Cig is Back. Kind of. Sort of. Maybe. Safe Cig is not out of business but we are in the midst of an internal dispute between us, the Founders, and our CEO John Cameron. This has caused the site to go down and John C. has effectively stopped inventory from leaving the warehouse. We are working through legal channels to get our business up and running. The Safecig Inc. is nothing more than an empty company that hasn’t and doesn’t conduct any kind of business. It is not partnered with anyone. The Seminole Brand of Electronic Cigarettes is a 100% independent company from Safe Cig, but since we had manufactured their product, their flavors and technology are the same. We want to make sure our customers get the products they need even if we can’t supply right now. The Safe Cig and Safe Cig are the same company. We owned both domains and before the site went down, anyone could type in either name in to find us. Their is no current activity regarding any law suit by Dragonite. This is not even on our radar right now. We are trying to get our company back after an attempted hostile takeover by John Cameron. We loved our company, we loved selling electronic cigarettes and want to someday soon supply our customers with a good product again. It’s that simple. I am accepting both questions and interviews. It would appear that Safecig has removed the YouTube video announcing their partnership with the Seminoles. Curiouser and curiouser. Plagued by out-of-business rumors based on a number of factors including: the disappearance of their website; a disconnected customer service number (866-997-2332), numerous customer complaints, pending lawsuits; and an “F” rating with the Better Business Bureau; on February 26th, The Safe Cig reemerged on YouTube to announce a partnership with the Florida Seminole Tribe. But is the company really “back in business” or simply using a partnership with a quasi-sovereign nation to evade the jurisdiction of U.S. courts and FDA regulation? The entire episode is so bizarre we hardly know where to begin. But we’ll try. While it seems odd to make such an announcement on YouTube rather than with a press release, the story gets stranger. The first half of the video is footage of peoples’ reactions to Seminole electronic smoking products at a trade show intermixed with various VIPs posing with the retro-uniformed Seminole E-cigarette Girls. The Safecig is not mentioned. The second half begins with a title card announcing that the partnership was formed in 2012, and not 2013 as indicated in the headline beneath video. The title card concludes with the bold claim that the “new entity” will easily be a decade ahead of the competition. The sequence that follows features four men in discussion: Safecig Founders, Jon and Rob Deak; a tuxedo-clad third man whose face is intentionally blurred to obscure his identity (we kid you not); and “Original Electronic Cigarette Inventor, Herbert A. Gilbert,” Rob Deak states, “We’re very, very detail oriented as far as anything you can possibly think of down to the little tiny line underneath of our logo, the mechanics of the cigarette. We have world class engineers that are working for us. We’re just so passionate and we’re happy to be able to do this.” Mr. Gilbert adds, “Thank goodness the world has changed, and people like you are making it better, I’m proud to be a part of it”. We assume he is addressing the two Deaks and not the gentleman with the blurred face. U.S. and international courts have upheld electronic cigarette patents granted in 2003, 2004, and 2011 to Hon Lik (widely known as the inventor of the electronic cigarette) for Dragonite International Limited (successor in interest to Mr. Lik’s former employer, Ruyan Technology & Development Co., Ltd). However, Mr. Gilbert’s Patent for a “smokeless non-tobacco cigarette” was issued nearly 40 years prior in 1965. But why involve him with the Seminole/Safecig partnership? We believe that Mr. Gilbert may act as a trump card for the new enterprise. Dragonite has filed suit for patent infringement against numerous e-cigarette brands including The Safe Cig, NJOY, Smoking Everywhere, Instead, Magic Puffer, Mistic, 21st Century Smoke, FIN, Blu Cigs, Logic, Nicotek Metro, Smoke Fifty-One, Krave, and Green Puffer. A number of these companies have defaulted, others have agreed to judgments against them, and some (notably Blu Cigs), have paid damages in out-of-court settlements. Many of the cases (including that against The Safe Cig) are still pending. If U.S. Courts find that Safecig is the successor in interest to The Safe Cig, it follows that Safecig will need to default, defend, or pay up. However, Safecig may claim that their design is based on Gilbert’s 1965 patent and therefore Dragonite’s suit is without merit. A counterclaim is certainly possible. Additionally, Safecig may be able to avoid the execution of any judgments entered against them if they are able to obtain a favorable ruling finding them outside of US Civil Court jurisdiction based on their partnership with the quasi-sovereign Seminole Tribe. We find irony in Safecig’s claim that it will be “the first company to manufacture electronic cigarettes on American soil starting in 2013,” while their attorneys may well attempt to place the company outside the U.S. for purposes of legal jurisdiction. Of course none of the legal matters are addressed in the video which continues with more visitors to the Seminole booth sampling and commenting on Seminole electronic smoking products. Highlights include Tribe President, Tony Sanchez and then Chief Financial Officer, Michael Ulizio posing with mini-skirted Seminole e-cigarette girls. The guy with the blurred face had no such luck. Finally, we apologize that we were unable to explain the guy with the blurred-out face. But, we’re working on it. NOTE: Our preceding article on The Safe Cig saga, The Safe Cig Appears to be Out of Business, drew a number of comments. But none were so entertaining as one we believe was submitted by none other than Mr. Jon Deak. “Safecig & The Seminole tribe of Florida just announced their new partnership, see the link below. I would update your blog or delete it before the Seminole Tribe of Florida slaps you with a cease and desist. There are thousands of people in the electronic cigarette forums who are praising safecig for doing what they did and partnering with a Government to manufacture Electronic Cigarettes on American Soil. Dont try to mess this up because the FDA cant touch a actual government. We are all watching your actions in the forum and if this isnt changed we will notify The Seminole Tribe about your false article and we will also blast your site in the forums everywhere as un-credible and a scam site. Note: Rob Deak, one the Safe Cig’s original founders, posted this diatribe on Tumblr earlier this week. Performance may vary, and results are not guaranteed. We generally advise against mixing and matching brands. We are now offering a FREE Battery for every order of five (5) refill cartridge packs or more! Based on your feedback we are now addressing the number one problem that ALL electronic cigarette companies face, which is the issue with the battery failing to work after a certain number of uses. Our R&D department continues to work diligently to improve the life cycle of our batteries; however, it has become evident that we need a solution while we continue to develop the perfect Breathe Fresh battery. After exploring a number of options on how to address this issue we have decided to offer a FREE Battery with all orders of five (5) or more refill cartridge packs. Please note that this offer will only be available Version 2.0 items. No coupon code is necessary and you should see the free battery added to your cart as long as five or more version 2.0 refill cartridge packs are in your cart. Your order can be a mix of any flavors and nicotine levels and works the same for orders placed by phone. This policy is effective immediately, and all pending orders that meet the criteria will have a free battery included. We believe that this is the best solution, since there will no longer be a need to return batteries in order to receive a replacement. This enables you to have fresh, new batteries at all times at no additional cost. We will still honor our LIFETIME WARRANTY on all purchased batteries and batteries that are included in Starter Kits. These Batteries will need to be returned first before replacements are shipped. Breathe Fresh eCigs is always looking to improve your experience with our products and we welcome your feedback on this new policy change. We also welcome any additional feedback that would enable us to enhance your vaping experience. For all customers looking to upgrade to the Version 2.0 Kit we are offering a one FINAL 30% discount good until the end of February (Coupon Code: newpolicy). Thank you so much for choosing us as your electronic cigarette supplier and we look forward to your continued support. Click here now to take advantage of these special offers! SALE PRICES AND AVAILABILITY ARE SUBJECT TO CHANGE/WITHDRAWAL AT ANY TIME WITHOUT PRIOR NOTICE. Type newpolicy into the box marked ‘Apply Coupon’, hit the ‘Go!’ button and you’ll receive a 30% discount on your Breathe Fresh Version 2.0 Starter Kit purchase. This coupon code offer expires at the end of the month — so please place your order promptly. 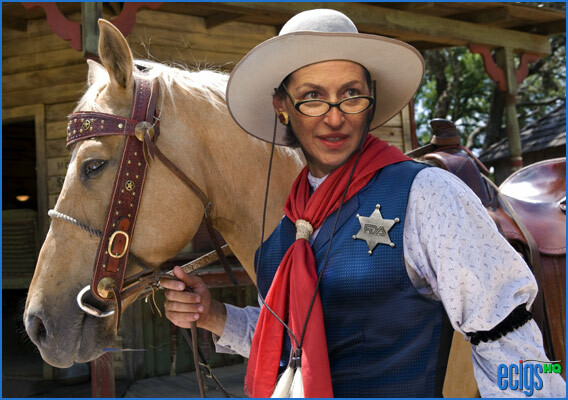 …and the horse you rode in on. FDA Commissioner, Dr. Margaret Hamburg. As you know, e-cigarettes have the potential to positively impact the lives of millions of tobacco smokers worldwide. 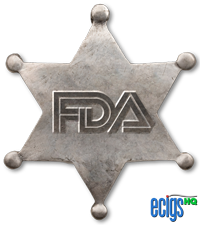 This coming April however, the FDA will propose regulations that may pose a real threat to the entire electronic smoking industry and the people that use e-cigs. This is unfortunately a direct result of the disinformation campaigns and corporate lobbying efforts of the big tobacco and big pharmaceutical companies. You can read more about this specifically and other health, medical and political topics on Dr. Michael Siegel’s Blog — a doctor and industry expert who is pragmatic, sensible and progressive in his evaluation of e-cigarettes as a viable alternative to smoking. It is certainly a worthwhile read for e-cig users. Big Tobacco has consistently failed smokers. Rather than work towards making their products safer, Big Tobacco spent their billions developing more addictive cigarettes — even when those efforts meant adding an ever-greater number of toxins to their products — further endangering the lives of their customers. Big Pharma has consistently failed smokers. Rather than develop smoking-cessation products that actually worked, Big Pharma spent their billions convincing doctors to prescribe these ineffective and expensive FDA-approved solutions while down-playing the evidence that showed their products had roughly the same success rate as placebos. Despite all this, it is the lobbyists of Big Tobacco and Big Pharma whose voices have echoed most loudly throughout the halls of Congress during the electronic smoking debate — arguing against common sense in their efforts to convince our legislators that e-cigarettes pose a significant danger to the public. Contact your Congressional Representatives and let them know your thoughts on e-cigarettes, and that you want the FDA to support electronic smoking industry efforts to advance the use of their products, not restrict them. Some content courtesy of Bloog Electronic Cigarettes. The Safe Cig, one of the better-known electronic cigarette brands, appears to be out of business. While we have not received any official word of this, a number of indicators currently point towards this conclusion. The Safe Cig’s toll-free number, 866-997-2332 is out of service. As of Monday, February 4th, 2013, the website has been down and its security certificate has been revoked. Their affiliate marketing network provider, ShareASale, lists the account as “closed.” In a telephone conversation earlier today, ShareASale indicated that they are awaiting information, but at least for now, The Safe Cig account is closed. We are presently awaiting responses from The Safe Cig to e-mail requests for additional information. If responses are received, we will update this page accordingly. According to information received earlier today, there seem to have been complaints about the product availability and customer service during the last twelve months. The Safe Cig, LLC. of 1051 Cole Avenue Suite A, Los Angeles, CA 90038 presently holds an ‘F’ rating with The Los Angeles, Orange, Riverside, and San Bernardino Counties of Southern California Office of the Better Business Bureau. Their BBB accreditation was revoked 2/23/12, “due to its failure to adhere to the BBB requirement that an accredited business must be free of an unsatisfactory rating and maintain at least a B rating at the accrediting BBB and the BBB where it is headquartered, if different; promptly respond to all complaints forwarded by BBB.” Of the 100 complaints closed by the BBB, 84 were closed in the last 12 months. Over the course of the last few years, The Safe Cig CEO, John Cameron (brother of famed Titanic Director, James Cameron), became something of a fixture on TV news shows, often appearing as an expert guest in segments discussing issues related to vaping. John would extol the benefits of electronic cigarettes in general, while detailing the features that set The Safe Cig apart from its competitors. ECigs HQ rated the Safe Cig highly, as it was a high-quality brand that devoted tremendous resources to self-imposed quality standards and safety testing. The Safe Cig website included a ‘Certificates and Transparency’ page that provided consumers with detailed ingredient listings as well as certified third-party laboratory safety testing results. 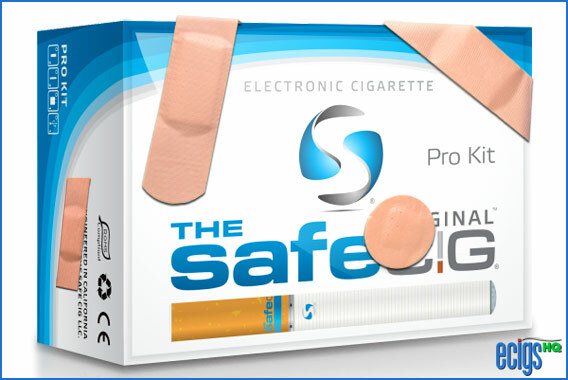 We are genuinely sorry to see the demise of The Safe Cig, and hope that they do everything possible to ensure that all claims against the company are settled expeditiously and to the satisfaction of their customers. Is NJOY Phasing out Rechargeable E-cigarettes? NJOY, one of the most established electronic cigarette brands on the market, appears to be phasing out rechargeable e-cigarettes. While eCigs HQ has not received any official word from the company to confirm or deny this, we do know that the NJOY Deluxe Starter Kit is no longer available and the NJOY website now lists only one rechargeable, the Express Starter Kit. An NJOY Customer Sales Representative reached by phone today could not provide additional information regarding the Deluxe Starter Kit other than to say that it was presently “out of stock.” When questioned as to why the kit would be entirely removed from the website if it were it simply “out of stock,” she indicated that she did not have any information regarding its future availability, or the continued availability of rechargeable kits other than to say that the Express Kit is currently available for purchase. While the King has received kudos from retailers, the vaping public’s reviews have been decidedly mixed. Based on the comments posted at eCigs HQ, there appear to be issues with longevity. A number of commenters have claimed that the Kings simply do not last very long. As there is no way for us to determine if the comments posted are indeed genuine, unbiased appraisals, eCigs HQ will perform its own analysis in the coming days and update this page with our results. While disposable electronic cigarettes are certainly popular enough to occupy coveted counter space in major convenience store chains like 7-Eleven, they are not the overwhelming choice of former smokers who generally prefer rechargeable two-piece designs. In addition to offering a greater range of flavors, nicotine levels, and batteries, rechargeables provide consumers with a far more cost-effective way to vape. Consider that the NJOY King currently retails for approximately $8.00 per single disposable, while eCigs HQ’s three top-rated brands average less than $3.00 per cartomizer. Excluding starter kit costs, that’s a greater than 50% savings. In a cost comparison against a premium brand like Green Smoke that assumes a one-to-one longevity equivalency between an NJOY King disposable and Green Smoke’s acclaimed FlavorMax™ Cartomizer, a former pack-a-day smoker would save $5.05 per day, $35.48 per week, $153.73 per month, and $1,844.70 per year* by using Green Smoke rechargeable e-cigs even when you include the $99.97 cost of the Green Smoke Pro Kit. Is a new King coming? According to projections by Wells Fargo Securities, NJOY currently controls roughly 39% of the retail electronic cigarette market with a formidable online presence in addition to nearly 30,000 retail outlets. It is the opinion of eCigs HQ that dropping rechargeable e-cigarettes from their product line would be a risky long-term strategy for an established brand like NJOY. We believe that a third possibility exits. While we have no information to support our contention, we believe that NJOY will likely apply the innovative features of the disposable NJOY King to a new rechargeable product line. Based on their current market presence, such a move would in all probability, further solidify their current standing as the leading manufacturer of electronic cigarettes for now and the foreseeable future. *Assumes purchase of Green Smoke FlavorMax™ Cartomizer 16-packs at $212.97 per 80 cartomizers.